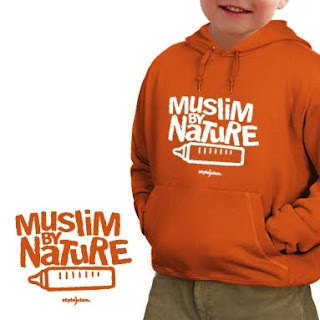 These days, while walking in the streets of any major European town it is quite likely you may come across a young Muslim wearing a T-shirt bearing an interesting messages: "Read Quran, charge your iman" or "I love my Prophet -- Mohammed." These are only two of the many interesting messages a young German citizen of Turkish descent has been trying to spread using the T-shirts of his own making. You are likely to see these messages not only on T-shirts but also on bags, mugs, mouse pads and even bibs. Other messages include, "Keep smiling, it's sunnah," "Terrorism has no religion," "Drop love, not bombs," "Worship the Creator, not the creation," "Hijab supporter," "Make Çay not War," "Go halal," and "Ummah: be a part of it." All these and more are available on StyleIslam.com, the Web site of designer, 33-year-old German-born Turk Melih Kesmen. 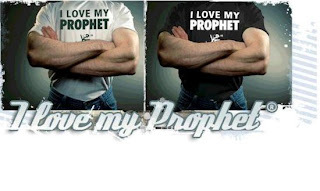 When cartoons insulting Islam and the Prophet Mohammed hit the headlines around the world, his first reaction was to design a T-shirt with the message, "I Love My Prophet -- Mohammed" and hit the street in London. Upon seeing the great positive reaction he received -- peppered with the few verbal assaults he had anticipated -- he began brainstorming possible ways of spreading Islam's message through a more contemporary and esthetically appealing manner, and came up with slogan-bearing T-shirts. "We aim to interact with people around us through the messages written on the T-shirts. Basically, we call on non-Muslims to learn about Islam not from the Western media, but from the very people they walk past in the street every day," Kesmen explained, adding that this street fashion aims to present the message in a more appealing way to the youth of Europe. Little did he guess that that first T-shirt would turn out to be a milestone in his life. What made Kesmen design that T-shirt, however, was not limited to a single incident. Born into a Turkish family in Germany, Kesmen's life was already full of contradictions and ordeals that would soon encourage him to employ extraordinary methods to express himself. In his childhood and early youth, he suffered a sort of "alienation" complex because his hair was not blond, his name not Hans, and myriad other differences between him and the other kids in school such as his eating a sucuk (Turkish garlic sausage) sandwich in class during lunch, while most of the others had chocolate spread in their bread. One day being different suddenly became being cool, however: on that particular summer day, early in June, he came to physical education with a pair of knee-high wrestling shoes, handed down from his elder brother. He was afraid to take them out of his bag for fear of being ridiculed. But when he eventually did and put the shoes on something unexpected happened: All the kids started to stare at this new sports gear with an expression of admiration on their faces. His friends even asked where they could buy a similar pair. That moment, he said, turned all his fears into self-confidence and made him realize that he, as the son of a Muslim Turkish family, also had many advantages over German kids. Kesmen initially took up graffiti to express his artistic bent, and started pouring a stream of consciousness onto walls, and even train cars, not concerned with conveying any specific message. But when he turned 16, his Islamic sensitivity started haunting him, cautioning against painting walls that did not belong to him and without the permission of their owners. He realized that his graffiti was not lawful either outwardly or inwardly. So he turned from painting walls to designing T-shirts, with the help of equipment given him by his brother, Ufuk. This was the story until the cartoon crisis. While many set about showing harsh reactions to the blasphemous cartoons, Kesmen sought milder and esthetically more appealing ways to voice his reaction. He came up with "I Love My Prophet" written in the Latin alphabet and "Mohammed" written in Arabic. 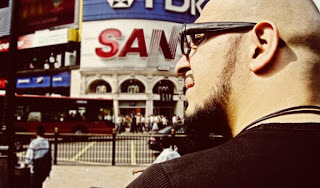 And with the T-shirt's first outing in London, what he was soon to name "StyleIslam" was born. The religion of Islam is a very balanced one in many respects, said Kesmen, and he wants to make people take a different approach to it through his stylized Islamic motifs. In his workshop -- alongside six other people, four of whom wear a headscarf -- he designs items such as T-shirts, buttons, bags, mugs, sweatshirts and bibs and markets them on his Web site. When we asked him whether he felt Westerners might find his messages provocative -- given that some of the messages include, "Hijab: My Choice, My right, My Life," "Salah, Always get connected," "Mecca," and "Jesus was a Muslim" -- Kesmen, who studied graphic design in Dortmund for one-and-a-half years, said: "Like Muslims, non-Muslims should ask these questions to themselves. Some claim that we provoke them with these T-shirts. But such people are either completely ignorant of Islam or prejudiced. I want to see StyleIslam as a contemporary expression of the Islamic identity. The message of Islam hasn't changed for thousands of years. Only the instruments with which it is communicated vary according to the ages. As somebody hailing from the world of art, I must assume my personal responsibility of communicating Islam in the sphere of art. StyleIslam has turned out to be my experience of living with my Muslim identity. We are Muslims and have nothing to hide. We can proudly carry our message on our chest." He underscored that Muslims in Europe made a grave mistake after the Sept. 11 attacks by sort of withdrawing into themselves as a community, adding that they had should have open-heartedly been representing Islam in European societies. He also noted that 95 percent of reactions they received were positive, and that most people were very surprised to see how such serious messages could be communicated in a very humorous fashion. "Most non-Muslims think that humor is foreign to Muslims. We will continue resisting the hateful attacks on Islam with our art and by producing new and appropriate designs," he remarked, noting that the reason they wrote the messages in English was a willingness to reach a greater number of people. He also said that they would soon start using other languages such as French, Spanish and Turkish when they penetrate the markets in these countries. "Our non-Muslim customers are mostly intellectuals who support and approve of this self-confident initiative of Muslims. Our target audience is people between 15 and 50. The 25 items in our product line have their highest demand in Germany, Austria and the Benelux countries. We will include some never-before-tried designs in our collection next year," Kesmen revealed. He stressed that they wanted to initiate a new movement by combining street style with Islamic patterns. Kesmen and his design team donate 1 euro for each item sold to support African children orphaned by AIDS.